One of the most painful moments of computing is when you realize you've lost "everything" on your trusty gadget. Whenever you experience data loss (e.g., mechanical, software, or theft) you go through the same stages as you would in any other situation of loss and grief. First you go through the action of denial, you'll find yourself restarting a computer, tablet or phone; this is the first wave of pain. Then you move on to the anger phase, where you are either angry at yourself or whatever device and want to throw said device out the window, across the room, many of you have. Also crying has the same effect. You move on to the next phase of "only if I had…" In this case, only if you had backed up your device, all this grief, worrying and anger would cease to exist. So instead of experiencing the 5 stages of loss and grief, I'd like to introduce to you 5 options of backing up to the cloud. Surely you can back up to a local or NAS hard drive. My only problem backing up to a local drive is though the action is well-intentioned, you also have to worry about the hard drive facing its own defects, theft or natural disasters. So it is best to have backup backup plans. Cloud services have become an extremely popular way of backing up, especially if you are backing up multiple devices (desktop, laptop, tablet, mobile) its good to be able to source the content back to one common place. Add to it how network capacity and speeds have increased quickly over recent years. Problem is there are dozens of services available so we've tried to make it easier for you by picking the easiest, most cost effective options. Mozy is extremely easy to use, it has automatic or scheduled backups, and files can be downloaded and viewed on mobile devices. Mozy is a breeze to restore from, quite important for data recovery. Mozy's services include, home, commercial or enterprise uses. So you can scale up as your needs increase. Mozy offers a free 2GB version. You can sign up for 50GB, one computer plan for $5.99 or move up to the $9.99/month three computer, 125 GB plan. Carbonite too is easy and automatic. All you do is sign up, download the provided application and it will do its backing up in the background. One of the more appealing factors is the use of unlimited storage. While the basic plan (starts at $59.99/year) provides unlimited storage, you are limited to one computer and does not include mirror image backups. You can access files from anywhere including mobile devices, you can't sync multiple accounts unless you move to the business plans. Nonetheless, if you're in the market for a computer back up with unlimited storage, Carbonite is a great option. SugarSync is a bit different than conventional backup services. While it can backup your PC, it will also sync up other computers and even mobile devices in to one centralized location. It neatly and automatically creates one singular spot that allows you to acces your files. SugarSync offers a free 5GB Service and jumps up to a 60GB plan for $7.49/month. CrashPlan, like most of its competitors, offers automatic back ups and a snazzy application. However, CrashPlan's application allows you to back up to its data centers, external drives and even other computers. It also has a version tracker that acts like Apple's Time Machine, allowing you to revert back to incremental changes. The pricing is fairly inexpensive staring as low as $2/month for a 10GB/computer plan. The Family plan starts at $9/month for unlimited storage and up to 10 computers. Livedrive's most basic plan offers unlimited storage, starting as low as $6/month, the option is one of the least costly plans for unlimited storage. You can add additional computers for just $1.50 a month. You can also upgrade to the moderate plan that adds sharing abilities, personal cloud storage space, and edit documents from any web browser, for $12/month. Dropbox can be used to store and backup certain files, but its primary function is not meant to be a backup/recovery service. It is great for storing, sharing, and syncing files on the cloud. It also has the ability to share data across mobile apps. So while it may not be the best tool for backing up and recovering an entire computer, it will do the job with your photos folder or photos from your mobile device as well as keeping your Evernote docs, emails and mobile gaming data safe. Like Dropbox, Box shouldn't be thought of as a complete backup tool, rather it acts more like a versatile thumb drive. 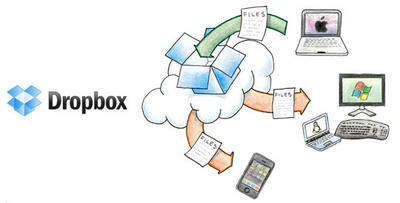 Box allows you to store and share files easily and quickly. You can use it as a collaboration tool to edit and comment on documents and discussions and receive update emails that alert you of changes and comments. I wouldn't consider this weekend project necessarily fun, but it is important to back up your devices, be it computer or mobile. You will save yourself hours of trouble, worries and headaches. If you haven't already go back up now.